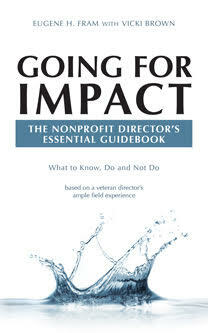 Is Your Nonprofit Board Chair Productive? Hundreds of articles have probably been published about the skills and abilities nonprofit CEOs need to have to meet the challenges of the nonprofit environment. These include: reduced funding, increased use of technology and increased responsibilities for fundraising. Relatedly, nonprofit board chairs have been encountering escalating challenges to recruit able board personnel. Current chairs must develop a more active partnership with the CEO in fundraising and lead the board in making difficult financial, technology and other strategy decisions. To address these challenges, following are the attributes that I think a nonprofit board chair should have to be productive, within the confines of being a volunteer (part-time) chairperson. •	Great Communication Skills: Current issues can be so pressing that chairs will need to be the types of people who don’t limit their board communications to regular meetings. Those who head the board must be in positions to return phone calls or other communications promptly and proactively seek the counsel of directors as needs arise. As a communicator, the chair should listen intently as well as provide outward-bound communications. •	Understands Importance of External Stakeholders: Traditionally chairs have not have much contact with external stakeholders. This is rapidly changing as funders want more assurance about board overview involvement in the grants they award; those providing gifts want more assurance that the intent of donor is being clearly recognized. The chair understands that an organization’s modern stakeholders range broadly from vendors to staff/management to donors. She/h understands that the nonprofit board represents the interests of a community, profession or trade association. •	Manages Board as an Organization: The chair makes certain that all directors understand their roles to overview, to have robust compliant financial and legal processes and to generate civil meeting discussions. He/s is able to abort any board attempts at micromanaging the executive group or staff. Board decisions should be viewed as being democratically developed, even when there is not unanimous agreement. •	Positive Relations With CEO: Mutual respect between the two is the hallmark of the relationship. Differences are settled without rancor, understanding that each role has boundaries – the board has the final word on policy and strategy while, at the same time, the CEO has final authority on operational decisions. •	Acquainted With Technology Basics: Since the use of technology is pervasive, the chair should be able to intelligently lead the board discussions on major technology issues. These currently include the use of the Internet, use of cloud computing and social media. Discussions can range from purchasing technical hardware and software to questions of privacy protection. •	Strategy/Policy Development: The chair has major responsibility to see that these topics are placed on the agendas, and, where approved, are implemented on a timely basis. Over the years, both issues on FP and NFP agendas have not been given the discussion time they deserve. These topics can range from pension reforms to whether or not an organization should have an acquisition/merger strategy. The challenges facing nonprofits, their CEOs and board chairs have escalated and will likely continue to escalate. The managerial requirements for nonprofit CEOs have risen. But it has not been the same for the board chairs. Although a part-time position, nonprofit boards and their stakeholders should realize that they need to elect people with leadership know-how. They are not necessarily the people who make the largest financial donations. The two can be the same, but nomination committees must be certain that whoever is chosen to preside as board chair has the requisite skills to do so.